N is on her second internship program in a popular publishing company that maintains several magazines in both online and print media. She was lucky that the art director of the online magazine appreciates her curriculum vitae including her portfolio of art samples. On her second day she was able to design a picture of a popular love team and it was published in the online cover. N was so ecstatic. Her first intern company she said has helped her enhance her ability to design images assigned to her. Here’s one of the few art samples that she submitted to the publishing company. 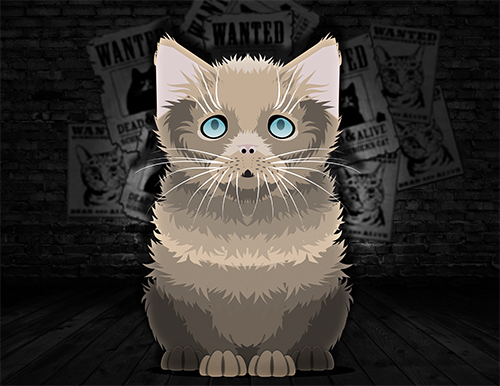 This entry was posted in Career in Art, College life, Digital Art, Inspirational, Job Opportunities, Personal and tagged art portfolio, digital artwork, digital artwork of cat, digital drawing, digital kitten on November 13, 2016 by Yami.